At the turn of the 20th century, the leather and glove industries of Fulton County dominated the Upstate New York economy. At its peak, several hundred glove shops and ancillary businesses tied to this industry dotted Fulton County, providing jobs to anyone willing to work and stabilized the local economy. At the forefront of these industries was Sexton Northrup, who was a senior member of the well-known Northrup Glove Manufacturing Company that was headquartered in Johnstown. He was a pioneer of the glove manufacturing business in the late 1800’s/early 1900’s and his knowledge of leather and glove making was authoritative. He was born in Broadalbin in 1844, where he was raised and schooled. His father (James) and his uncle (J.N. Richards) formed a co-partnership in the glove business in the early 1860’s, which became one of the largest in Fulton County. He worked for them as a young boy, eventually becoming their general manager. Sexton set out on his own and went to Johnstown in 1869 at the age of 25 and established a glove business at 27 & 29 South Market Street (on the area that is now the empty lot next to the First Presbyterian Church of Johnstown and the parking lot that sits behind the Frontier Telephone office on South William Street). This business eventually joined forces with his Father & Uncle’s operation and became the nucleus of one of the largest glove manufacturing companies in the country. Through his interest in the glove industry, he became a very keen student on tariffs and advocated for tariffs to tax imports of gloves made outside of the United States. While this was self-serving in that it protected his families glove making enterprise, it also served to protect the same interests of many other United States manufactured products. Through this process he became one of the best posted men in the country on the subject of tariffs and their effects on Government revenues and the effects on the US Economy. This knowledge led to him often being summonsed to Washington, where his expert opinion was sought by the committees presenting/deciding on new tariffs. 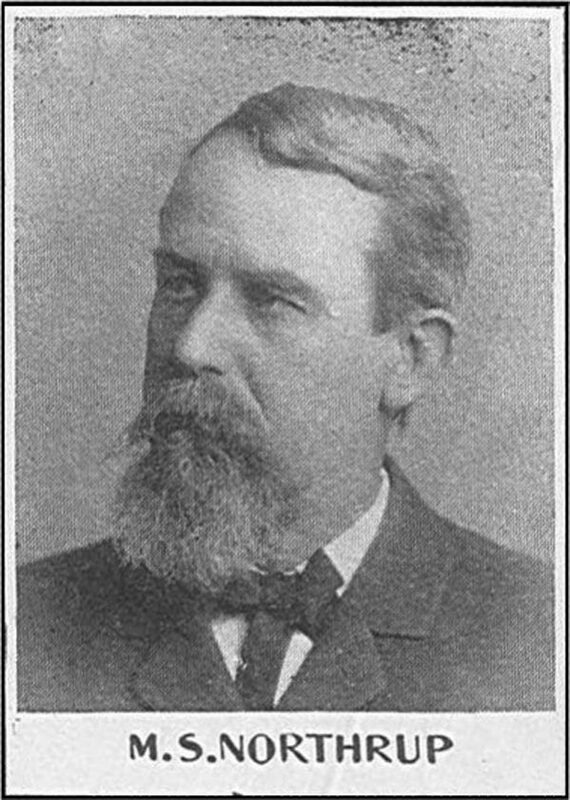 In 1897, the Dingley Act was introduced by U.S. Representative Nelson Dingley, Jr. of Maine and brought protectionism to US manufacturing, as it imposed duties on many products and raw materials which had been duty-free since 1872. Northrup was an integral part in researching and making recommendations for the bill’s provisions. He made it a point that “gloves” and the materials to make gloves were added to the list of items subject to the new import taxes that became incorporated into the bill. The hides being brought in to make gloves received up to a 20 per centum ad valorem, while finished gloves received duties of $1.75 to $4.50 per dozen pairs. Of the many of duties/tariffs that have been in place in the United States over its history, this act not only put a tax of 52% on certain imported products (the highest in history), but also lasted longer than any other tariff, 12 years. These tariffs and duties were instrumental in protecting the economy of Fulton County and allowing it to become the world leader in glove making. Outside of work, Northrup was also very interested in the welfare of the community and anything that would improve the lives of those who worked for his family’s company, as well as those throughout the Fulton County area. He was a trustee of the Glove Manufacturers Association, the Johnstown School Board, the Johnstown Library, the Humane Society and the Caroga Lake Protective Association. He even had a lake named after him – Northrup Lake. While hiking with a group of younger men in the late 1880’s, they stumbled across an unnamed body of water about 3 miles west of Canada Lake. Since it had no name, the group decided that they should name it. And with that, they decided to name it after Northrup, as he was the eldest member of the group. To this day, the lake still carries his name (look at any government issued map, and you will find the lake just to the West of Canada Lake). 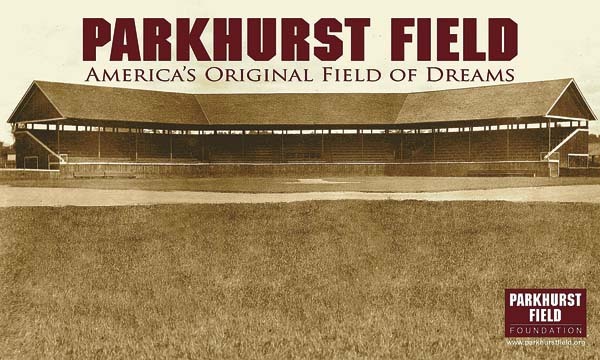 Northrup also had one other great love – the game of baseball. He was a devoted admirer of the sport and attended many local games. He also had a bad heart and despite his doctor’s warning not to get “too excited,” he just could not resist a good game of baseball. 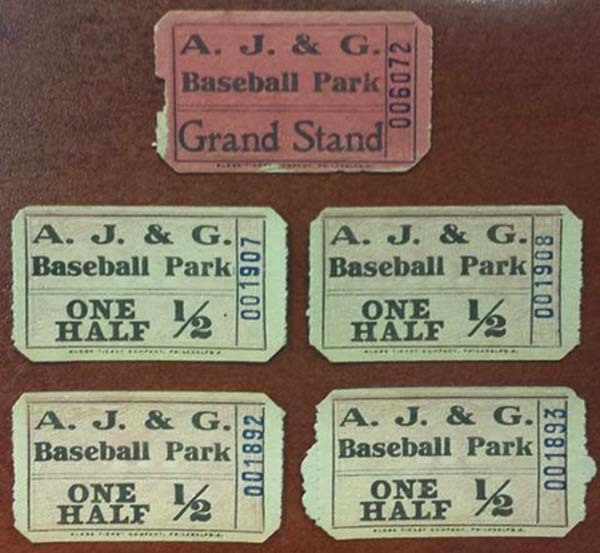 On June 4, 1908, he attended a New York State League professional game of baseball between the A., J. & G’s (JAGS) and Syracuse at A., J. & G Park (Parkhurst Field) just a few miles up the road on Harrison Street in Gloversville. It was a very closely played game and once the JAGS took the lead in the 8th inning during some intense play, Northrup got too excited and was stricken with a heart attack and collapsed. Despite the efforts of three physicians (also attending the game) who worked on him for 30 minutes, he passed away at age of 63. Ten months later, the Dingley Act, which had been the longest untouched tariff in the United States history, was replaced by the Payne-Aldrich Tariff on April 9, 1909. Without Northrup’s input as to the effects of changes to the tariff rates, many items once protected by the Dingley Act saw drops in the rates initially set up to protect Fulton County industry. The tax rates on raw materials used to make gloves dropped in half, and the duties paid on finished gloves immediately dropped by $1 per dozen pairs. The Underwood-Simmons Tariff of 1913 saw key glove making raw materials added to the “Duty Free List”, while the Fordney-McCumber Tariff of 1922 brought the addition of finished gloves added to the “Duty Free List”. While the Hawley-Smoot Tariff of 1930 reestablished moderate tariffs and duties on the items key to protecting Fulton Counties economy, the leak of the Upstate New York manufacturers stronghold on the leather & glove markets following the death of Northrup had already taken its toll on the areas local economy and was a factor in its gradual decline. A special thank-you to Johnstown Historian Noel Levee and Peter Kiernan of Olympia Gloves for their assistance with this story. Mike Hauser is the founder of the Fulton County Baseball & Sports Hall of Fame in Gloversville. If you have story ideas, old articles/photos or would like to nominate someone for the HOF, he can be reached through the organization’s website at www.fchof.com , email; mhauser@frontiernet.net or call 518-725-5565..